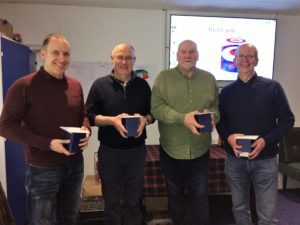 PJ Wilson, David Whyte, David Hume from the ICA plus Jim Stirling were crowned the Masters champions at Greenacres last weekend. 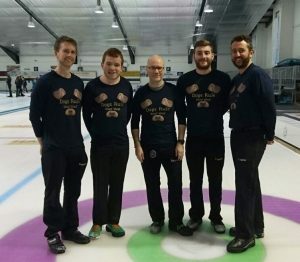 After taking eight points from the five game round-robin, including a last end victory over former Scottish champion skip Kenny Horton, the team won their semi-final after only five ends. A three in the first end in the final was a good start to an eventual 7-5 victory over Jim Stevenson, Robin Aitken, Jim Taylor and Douglas Rodger. 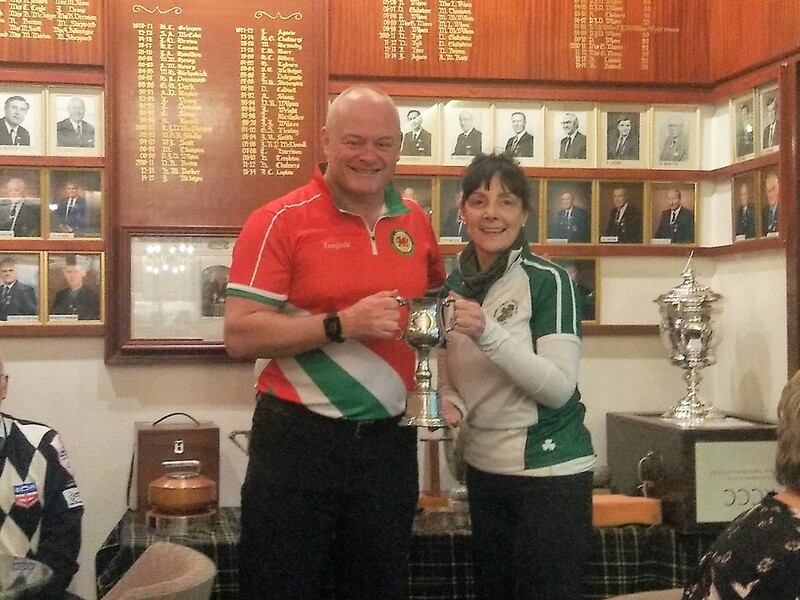 The first Four Nations to be held at Stranraer Ice Rink, hosted by the ICA, turned into an epic, on and off the ice. Session 1 was held on the Friday night, with sessions 2, 3 and 4 on the Saturday. 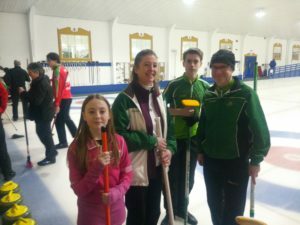 The busiest day was the Sunday with curling starting at 9am and, with three sessions to get through, the seventh and last session finished around 4pm. 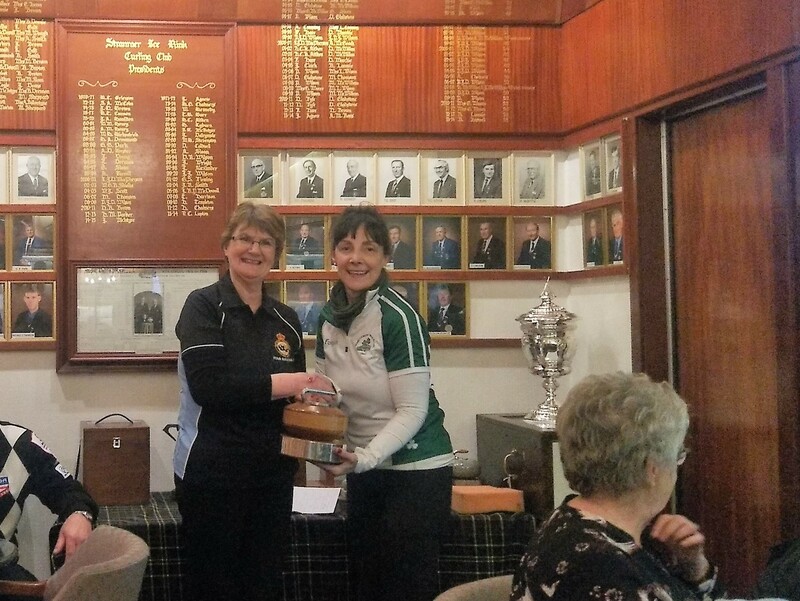 Ireland’s highlight was defending the Marshall Millennium against Scotland with an eight-shot advantage 28 to 20. The Meikle Trophy against Wales was lost this year 29 to 31 after a spirited show from the Welsh rinks, in particular ladies skip Dawn Watson who held her nerve to remove Marie O’Kane’s shot stone at the last end to secure the victory. The Welsh ladies are few on the ground and play multiple games at every 4N, and throughly deserved their hard-fought victory. 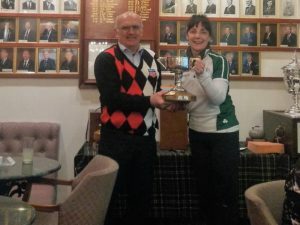 The Turnbull Trophy was lost to England by 32 shots to 35. 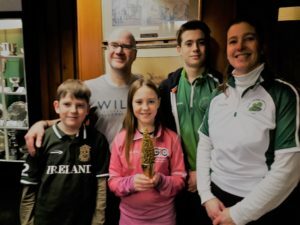 This was despite a win from the first family team to represent Ireland internationally when four Fureys took to the ice for the mixed game on the Sunday. 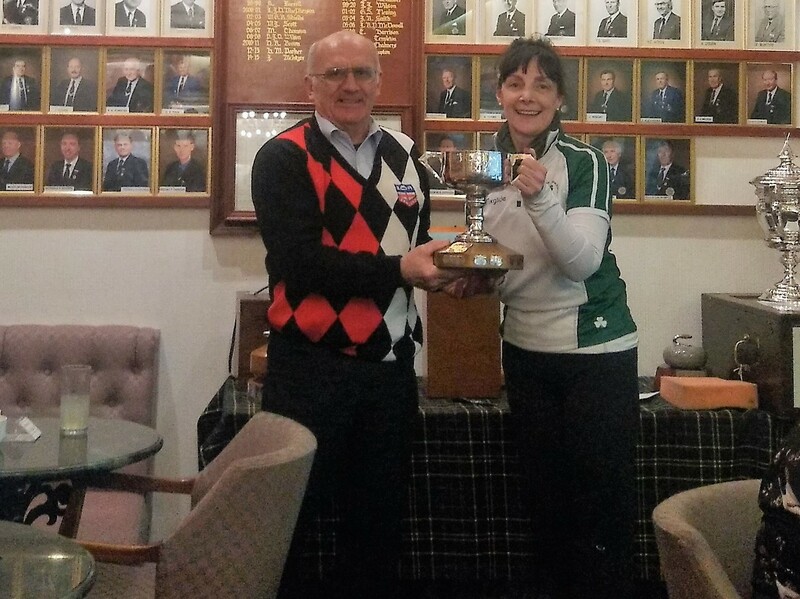 John and Christine with a green-clad Nathan and Erin sporting shocking pink, won by one shot to do their bit for their country. The 4N game and Glittertree-winning Fureys! They also picked up the ICA Glittertree for 2017! 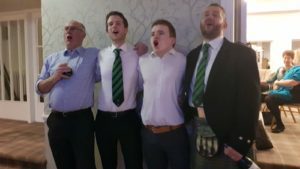 Off the ice, the Saturday evening gala dinner and dance turned into a most memorable evening for a variety of reasons. The drinks reception raffle raised £314 for association funds. The staff of the North West Castle served up a specially-created Four Nations menu with Scottish themed starters, potato and Welsh leek soup, brisket of beef with a Guinness jus or chicken fillet in Irish whiskey sauce for the mains and England bringing up the rear with bread and butter pudding or Bakewell tart. 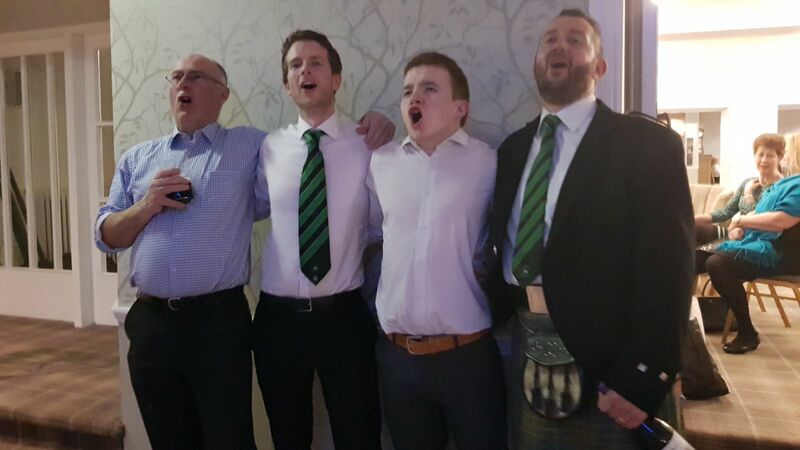 After speeches from myself for the Irish, Margaret Pottie for the Scots, Adrian Meikle for the Welsh and Tommy Campbell for the English, the highlight of the evening was the the appearance of 16 Irish dancers from the Trim the Velvet troupe, who came over from Belfast for a special ‘4N at the NWC’ entertainment. After half an hour of mesmerising toe-tapping and high kicks, John Munro’s excellent disco rounded off a special night. 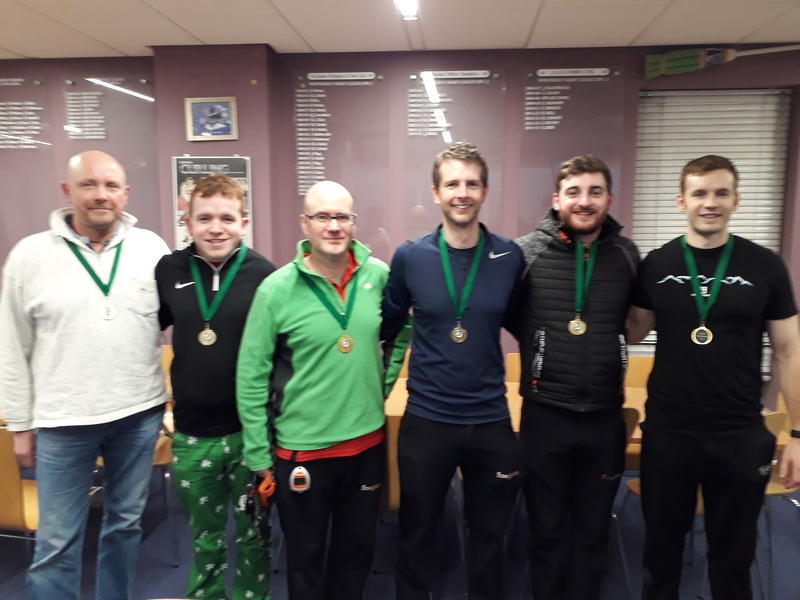 We really thought nothing could ever surprise us again, after all the many incidents we have witnessed over the years involving Irish curlers, but…….late in the evening….and after a few liquid refreshments………Eoin took to the floor and morphed into Michael Flatley. As he Riverdanced across the dancefloor, the Trim the Velvet girls lined up behind him and created something magical downstairs in the Castle ballroom. The roar of approval at the end from the party people left nearly blew the windows out. Eoin McCrossan – Four Nations legend with bar. 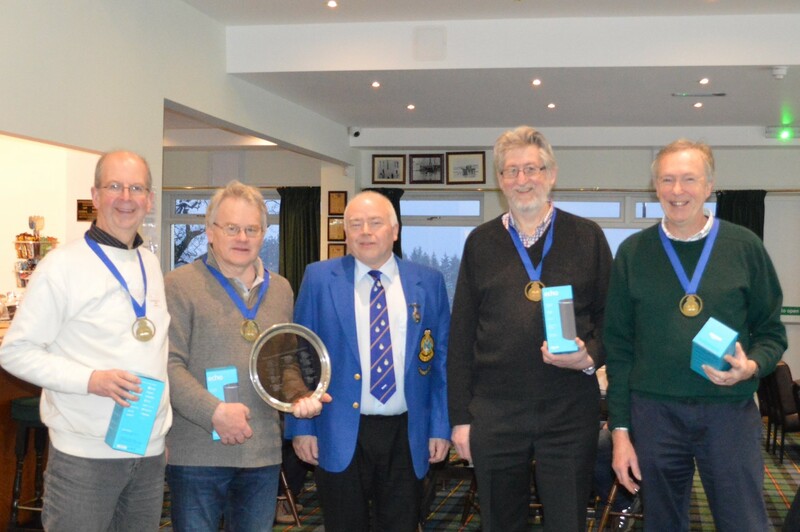 Thanks goes to all the ICA members who made the trip to the deepest south-west, despite difficult conditions on the roads over the weekend; to Gail Munro, Stranraer Ice Rink manager and all the staff of the North West Castle who worked their socks off all weekend to ensure that everyone in the hotel for the Four Nations had the best time possible. 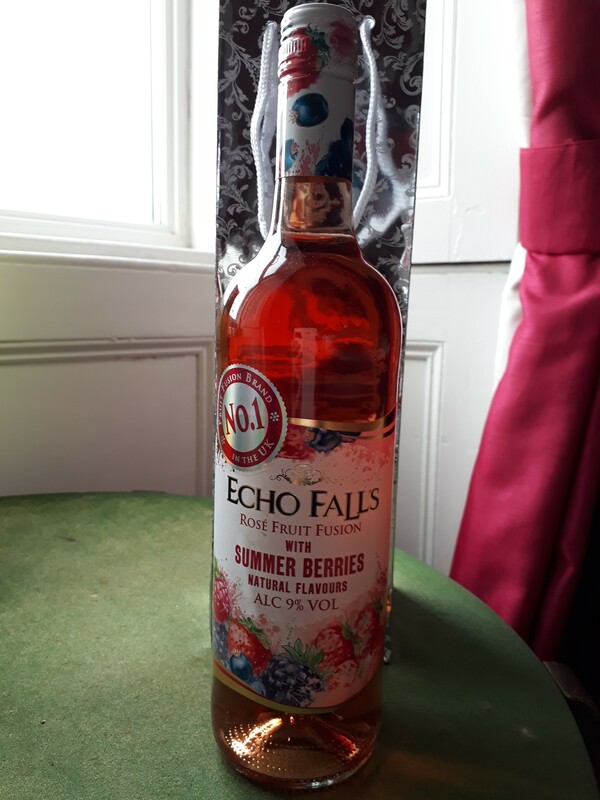 Over to the English Curling Association for 2019, who hope to host the event at a new ice rink in Preston………anybody know any Morris dancers in the north west? Looking forward to the annual 4 Nations curling this weekend in Stranraer. Congratulations to John Wilson, James Russell, Craig Whyte, John Furey, Eoin McCrossan and coach Martin Sutherland who won the Irish mens championships at Dumfries today winning the first two games in a best of three challenge against Andrew Gilmore, David Hibberd, Steve Callan and Tom Roche. They will now represent Ireland in the European C League in Taarnby, Denmark, April 11 – 18. Two teams will play the best of three games over the weekend at Dumfries Ice Bowl. Good luck to both teams. 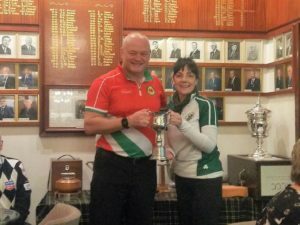 The winners will represent Ireland at the European C League in April.